SOCCER: An injury-affected Clinton FC is refusing to take their opposition lightly ahead of their opening match of the CQ Premier League season against Nerimbera Magpies. Perennial strugglers Nerimbera fell to a 6-0 defeat to Bluebirds last weekend but will have home-ground advantage at Pilbeam Park for tonight's match. Clinton coach Brad O'Sullivan said his side would focus on themselves instead of the Magpies' strengths and weaknesses. "Like all teams you respect them, play what you see and you don't take them lightly because that's the easiest way to get a result you don't want," O'Sullivan said. "At the start of every year, especially with those Rockhampton sides, they'll always be different and historically there's always a bit of player movement. "What's happened in the past isn't a really good guideline to go off." 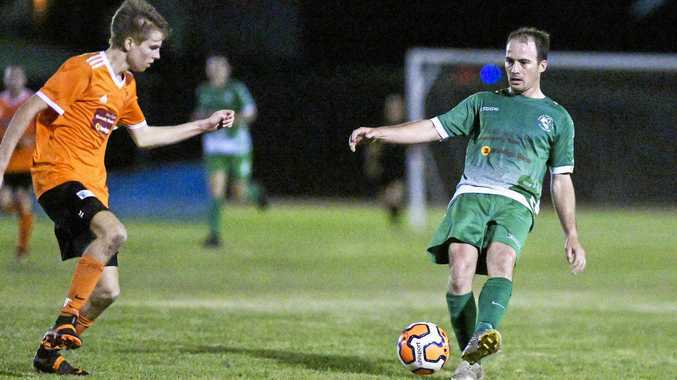 Clinton had a solid hit out against Maryborough side Sunbury FC last weekend, returning home with a 3-0 win courtesy of a Mitch Innocend hat-trick. "It was well worth the effort. It was a fair haul to go down there," O'Sullivan said. "I was happy with the clean sheet but we picked up a few injuries. "At the moment with player commitments and availability we've had good games and we're doing well but we've put a different squad on the paddock every week and this week will be the same. "We'll probably have at least five or six different to the side we put out last week. "It's difficult when you want to organise your structures and patterns of play but it's just something we have to deal with at the moment. "It gives the other guys a chance to stake a spot." Meanwhile, Central FC will look to make it two from two when they play away to Bluebirds tonight. Central opened its account with a 3-2 win against Southside United last weekend.